Home > Tenant/Landlord > Are Landlords Responsible for Mold in Their Rental Properties? Mold is something no one wants in their house. Although homeowners should act quickly to remove it, they don’t necessarily have to. Landlords, on the other hand, have a responsibility in Michigan to keep their rental properties free of mold — which is considered a health hazard. Here’s what you need to know about your obligations when a tenant finds mold in the home. Are There Laws About Mold for Landlords? There are currently no federal or state laws specific to mold in a rental property. However, mold can be considered something that makes a property “uninhabitable,” at which point there are laws that state the landlord must keep his or her property in a habitable, safe condition. What Can Tenants Do About Mold That Isn’t Addressed? There are a few things that a tenant can do if a landlord fails to keep the property in habitable condition. The tenant may be able to legally refuse to pay rent until the matter is resolved. Or, the tenant may be able to legally break their lease. It’s critical that landlords address mold as quickly as possible, not only in order to keep from losing money if a tenant doesn’t pay rent or breaks their lease, but also to avoid potential lawsuits. 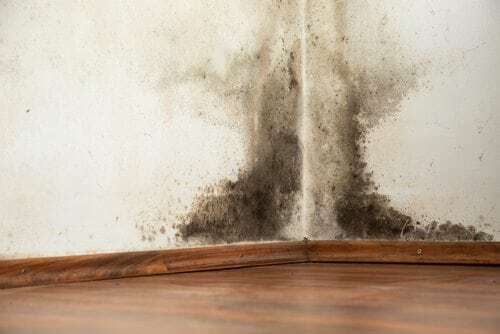 A resident may be able to bring suit against a landlord who failed to address mold if the mold caused significant health issues to those who were living in the property. The landlord may be held financially responsible for medical costs and other damages directly related to the mold if the renter wins the civil suit. As a landlord, you have several options for treating mold in a rental home. You may be able to treat the mold yourself, or you may be able to have your tenants do it and simply subtract the cost from their rent. However, dangerous types of mold or large amounts of mold likely need to be treated by a professional to ensure complete removal of the mold from the home. If your tenant has made you aware of mold in your rental property, it is in your best interest to consult with an attorney to learn what your legal obligations are. If a tenant has stopped paying rent, has threatened to break their lease, or is filing suit against you for mold, it’s even more important to contact a lawyer. Call Piper Legal today for a consultation at (810) 235-2558.